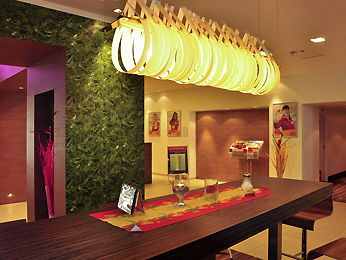 The affordable 3-star ibis Wien Mariahilf hotel offers 341 rooms, each with an air-conditioning system. The hotel is located in central Vienna, next to the Westbahnhof train station, Raimund Theater and Mariahilfer Strasse, Vienna’s largest shopping street. St. Stephan’s Cathedral, Schönbrunn Palace, the Zoo and aquarium are all within easy reach via the U3 or U6. The hotel boasts a restaurant, café bar, 5 seminar rooms, free WIFI access and a public car park (charges apply). Book your stay online now!